You get something in your mind and you know you want it. So you wait and you look and then there is a local online auction and one of the lots has the thing that you want. And you are the winning bidder. And the winning bid for all of the items was so low you can hardly believe it, so you sell the other items, but you keep the one thing you wanted and you bring it home and hang it on your wall. 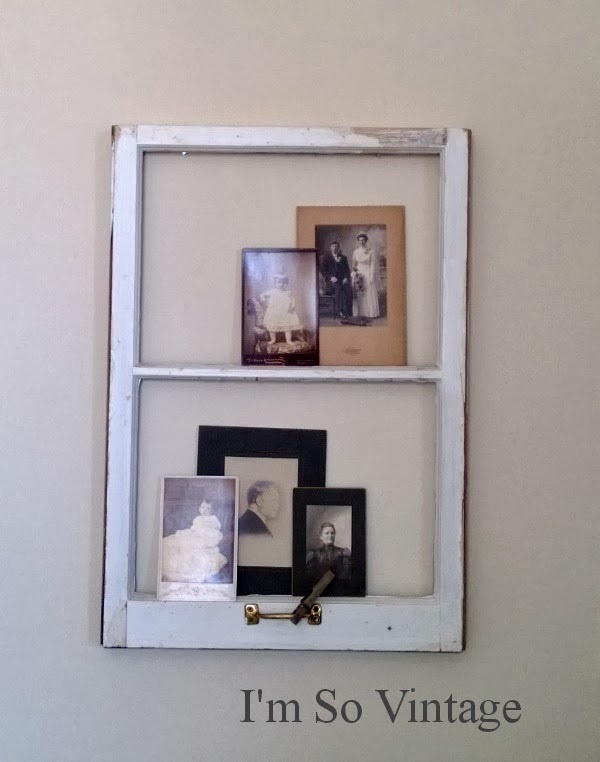 You aren't quite sure how you want to decorate it so you pull out your collection of old photos and add some of them. Then you clip on an old clothes pin just for good measure, because you never know when you might want to add something else. 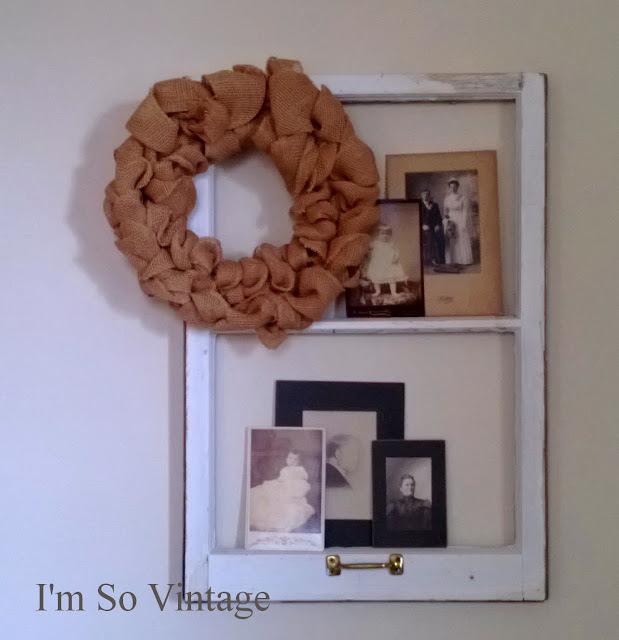 because you are just enjoying its simplicity, you decide it might need one more thing , and you remember that you haven't hung that great burlap wreath that you won last year from Top This Top That. You can read all about it here. So, a simple find gets a simple new life. P.S. Have you ever noticed how hard it is to photograph things on walls that don't get a lot of light? It looks positively darling, Laura! You have a great eye! The wreath took it to perfection! Great ideas my friend! So happy that the wreath has a great place to hang. I have never been to an auction.would like to go one day. Very cute! 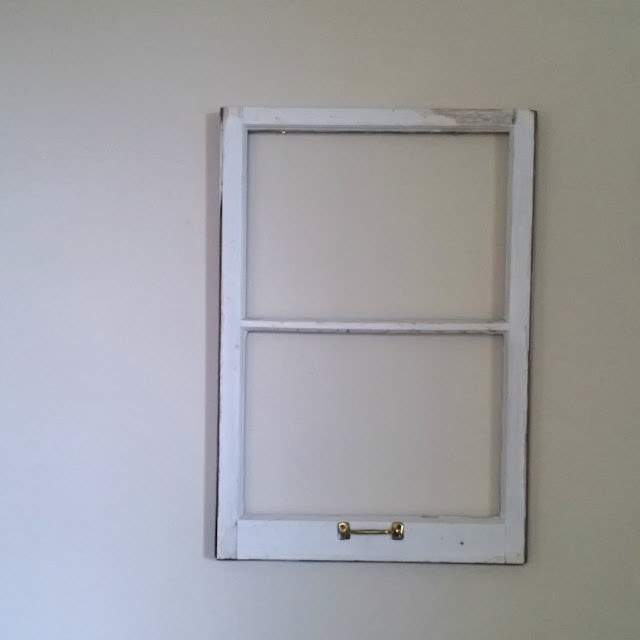 I have a love affair with old windows which is probably why I have a pile in my studio. Laura I love your new window! I am ne comer here, I found this beautiful blog. As I can tell I just love the darling vintage here. The treasure are so darling. The burlap wreath really completed it. Looks great! What a great idea! 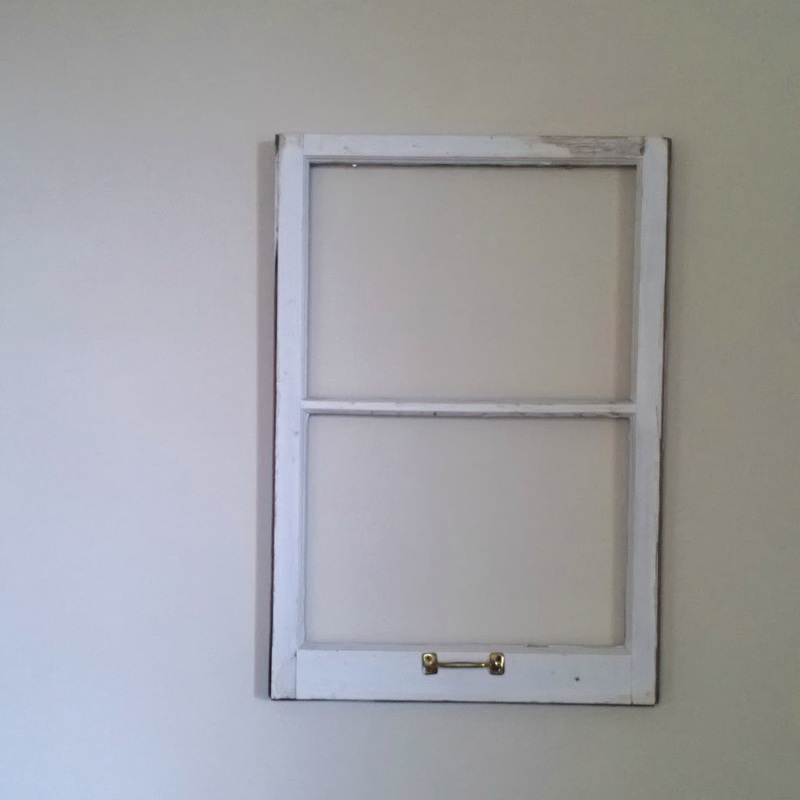 I was wondering how you were going to use that window when I first saw it hanging on the wall. I love the photos you've tucked in it. So unique. Yes to the photography question…I have a very hard time with that. I love your find - it's perfect, perfect and the addition of the wreath is just what it needed! 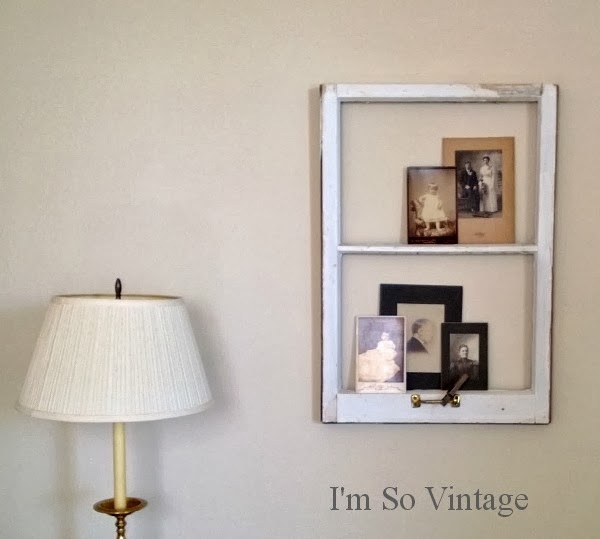 It's a great find and I love how you displayed old photographs on the window! Simple works best, Laura. It looks great. Happy Sunday evening. Nice score on your window! I love how you added the old photos and wreath! 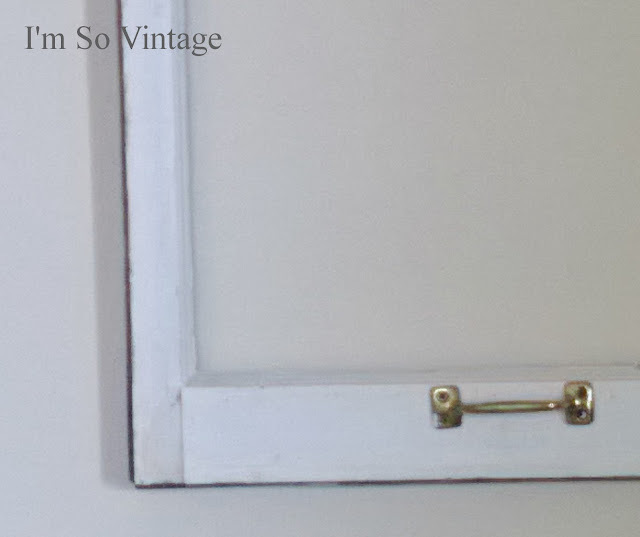 Beautiful and original decor piece. I LOVE how you used this! It looks beautiful, what a find, the wreath really sets it off! I also read your cleaning post, thats when I realized I missed this post, I made the change to natural cleaners a few years back and I think we both are doing the right thing, I hope your daughter may benefit from your new choices as well! Baking soda, vinegar, peroxide and lemon is cheaper thats for sure!